How to benefit maximally from probiotics? What does artificial meat consist of? New Year is closer than it seems! At the end of the year, most people prefer to sum up, plan and analyze the trends of the following year. The restaurant and food business is developing. As proper nutrition has become an essential part of modern life. Actually, leading a healthy lifestyle is a trend nowadays. As a result, most people are concerned about the influence of the food. So, foreign experts shared the top nutrition trends 2019. Among the food trends of the next year, British experts emphasise conscious eating and healthy cocktails. People are more relying on technology to improve their cooking experience. Experts predict that soon phones, applications and fitness trackers will be a perfect choice to know what we should eat. In 2019, more and more people will use technology to receive right, individual advice on nutrition. Such tips will soon be available to everyone. The main priority in nutrition trends 2019 is an awareness of how we live and eat, what we process. To start with, let’s have a look at the main directions of nutrition in the following year. Which food will be popular and healthy? 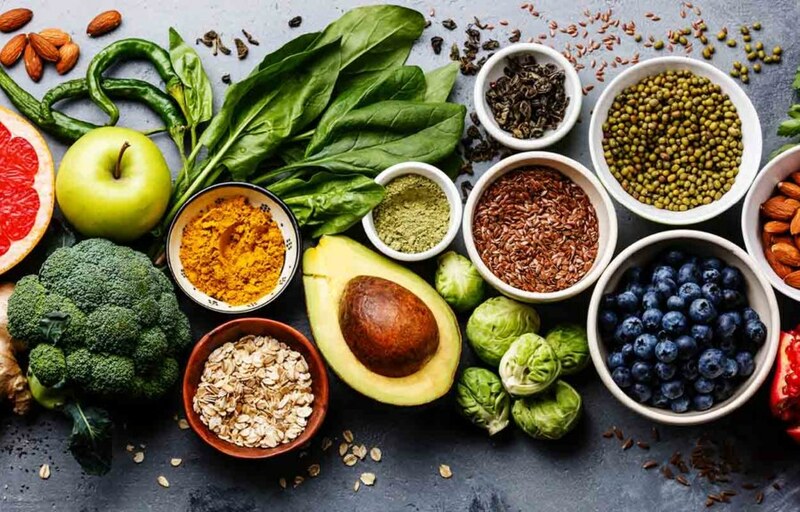 What ingredients will consist the main foods among nutrition trends 2019? Let’s look at the short overview. The demand for probiotic additions is growing. It is increasing among nutrition trends 2019 in parallel with the trend for lactose replacement. The most popular way of consuming probiotics is in the composition of granola, peanut butter and instant soups. Besides, the rich on these substances product is kefir. 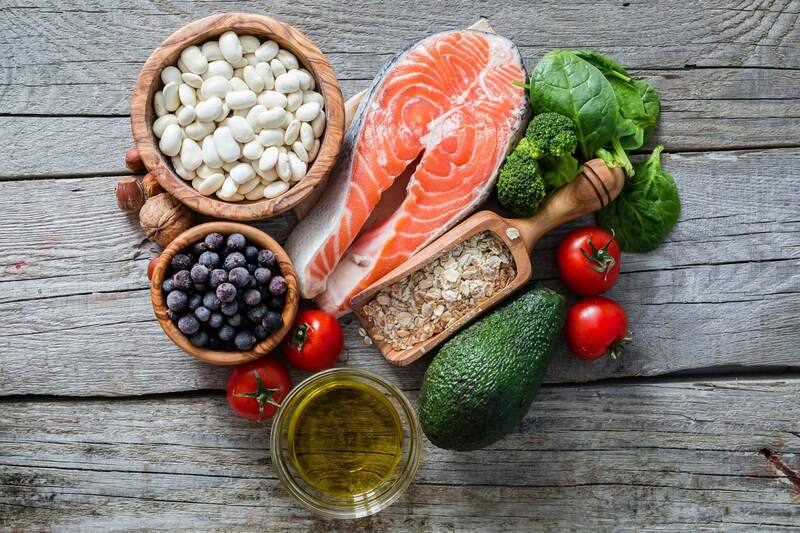 Healthy fats is a new passion for nutrition trends 2019. It is a diet high in fat and low in carbs. We expect the chocolate on the shelves filled with coconut oil and vegan coffee. Besides, there is a variety of other healthy fats. Its consumption is growing more and more with a time. The demand for natural snack-products is increasing. Namely, convenient packaging of mozzarella and prosciutto. They are suitable for snacking. Also, traditional versions of sandwich with cheese are in trend. 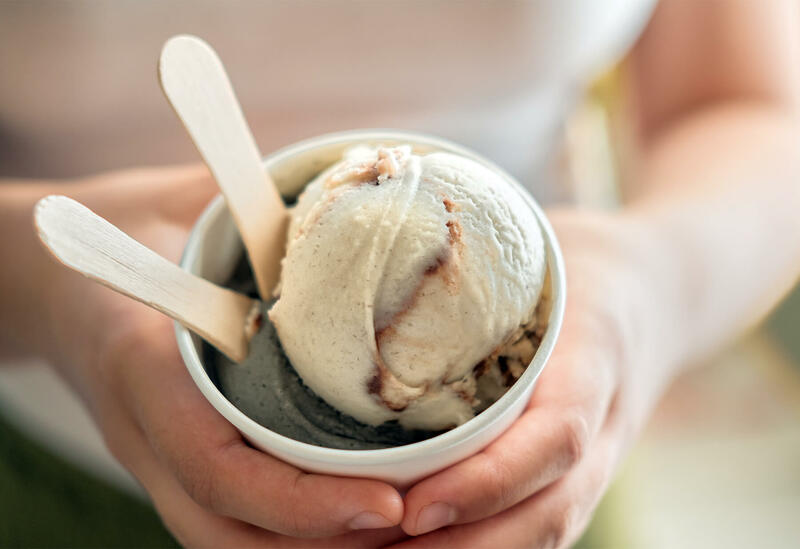 Dairy-free vegan ice cream has become one of the favourite desserts of healthy food followers. Among nutrition trends 2019, avocado, tahini ice cream and hummus flavoured ice cream will lead. Seaweed snacks are just the beginning of the trend for this ingredient. Next year, algae oil and kelp noodles will become popular. In addition, the demand for vegetable substitutes for tuna among vegetarians will increase. As well as crispy salmon skin snacks, the richest source of Omega-3. Asia, Oceania and the western coasts of North and South America are beginning to play a major role. Especially fruits grown on the coast. Such as guava, dragonfruit and passion fruit. These fruits will become new superfoods, having replaced goji berries. And the local jackfruit is actively used to produce vegan pork substitute. The herbaceous vine Arhat will soon become the most popular sugar substitute. Meatless snacks are a long-running trend. No wonder that it is among nutrition trends 2019. However, now artificial meat snacks are gaining popularity. They taste like bacon or beef, but in fact, there are no ingredients of animal origin. Such snacks are bought not only by vegans or vegetarians. Producers are testing ingredients. For example, they add mushrooms to products to create the consistency of meat. It has long been proven that a vegetarian menu can be full-balanced. One of the stumbling blocks is protein. Some people claim that high-grade protein can only be taken from animal products. While plant foods supporters are convinced of the opposite. Using vegetable proteins is one of the main trends in the food industry in 2019. Vegetable proteins are in legumes, nuts and seeds. Both pure and processed. This includes vegetarian (and vegan) burgers, cheeses and milk based on vegetable protein, etc. Continuing the trend of healthy lifestyles, which dominated in 2018, next year’s cocktails are likely to be healthier. They will have less sugar and alcohol-free. Non-alcoholic options will be more popular. Next year there will also likely be a surge of new smoothie flavours. So expect your cocktails to be flavoured with beets and pickled onions, decorated with vegetable cuts. Experts predict an increase in food delivery popularity by 2019. Its main drawback is the price. The same set of products you can buy cheaper. And the same recipes are easy to repeat at home. But you have to spend a lot more time. And time, as you know, is money. They will buy products for you, prepare healthy dishes. Besides, weigh them and determine the number of calories. Moreover, if you wish, you will get organic products without sugar, lactose, gluten in them. 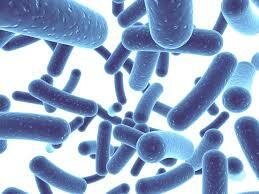 Probiotics are bacteria that are beneficial for the intestinal microflora. It has a positive effect on the human body. No wonder that it is among nutrition trends 2019. Sources of probiotics are kefir, different kinds of cheese, yoghurt. As well as special nutritional additions and medications. Now we will find out how probiotics are useful for the body. As well as what products contain the highest amount of probiotics. Everyone knows that probiotics are good for digestion. But their use is not limited to this. Increase energy levels through the production of vitamin B12. Useful for intestinal problems, including intestinal inflammation. Help with flu and colds. Reduce the effects of antibiotic treatment. So, what happens when a sufficient amount of probiotics does not enter your body? A lack of probiotics can lead to problems with digestion. Besides, decreased immunity, and many other unpleasant effects. Yoghurt is one of the most popular products with probiotic content. It is made from milk with the addition of beneficial bacteria. Principally, it is lactic acid and bifidobacteria. It is proved by various studies that yoghurt is very healthy. Daily eating of yoghurt has a beneficial effect on digestion, the immune system and the heart. Now there are many types of yoghurt on the market. And not all of them contain live bacteria. Therefore read the marks on the label before buying. Like yoghurt, kefir is one of the healthiest fermented milk products. It is very beneficial. No wonder that it is among nutrition trends 2019. 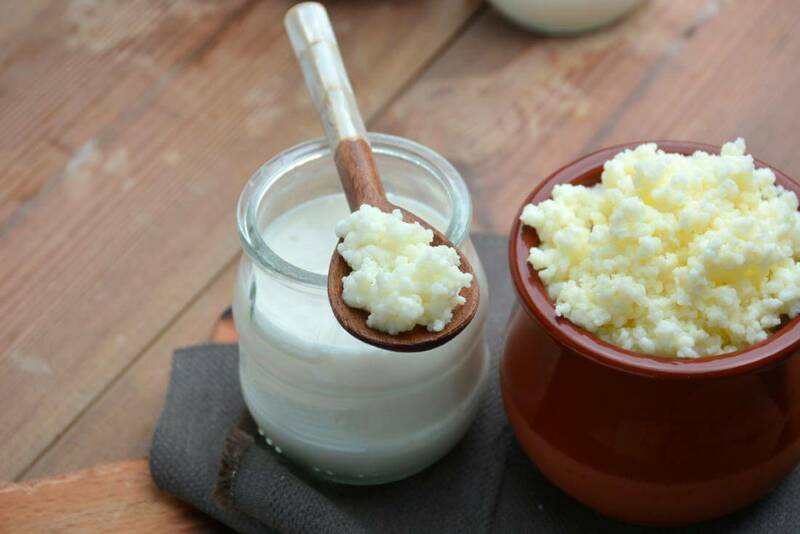 To produce milk kefir, kefir grains are added to milk. Which are cultures of lactic acid bacteria. 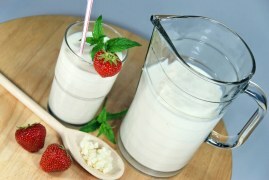 Daily consumption of kefir helps to improve digestion. Besides, improve immunity, protect the body from infections. Like yoghurt, kefir is suitable for people with lactose intolerance. Sauerkraut is very popular in many countries (especially Germany). In addition to probiotics, this product contains fibre, vitamins C, B and K, sodium, iron and other trace elements. Also, there are lutein and zeaxanthin antioxidants useful for vision in sauerkraut. However, all of the above applies only to unpasteurized sauerkraut. Kimchi is Korean kinsman sauerkraut. For the preparation of kimchi Chinese cabbage is used. In which carrots, garlic, onions, salt, sauces are added. Then fermented for 14 days. Tempe is a fermented soy product originally from Indonesia. Today this product is accepted worldwide as a high-protein meat substitute. Through this process, the amount of phytic acid decreases to some extent. Thereby improving the digestion of the trace elements contained in the product. In addition, during fermentation, vitamin B12 is produced. We usually get it with animal products such as meat, eggs, and so on. As a result, tempeh is an excellent choice for both vegetarians and those who want to get enough probiotics with food. Miso is a Japanese dish produced by foaming. It is made from soybeans, rice, barley, wheat and a special type of mould fungi. It is a good source of protein and fibre, vitamins, manganese and copper. Besides, it is relatively new-comer in nutrition trends 2019. Natto is another Japanese dish made from fermented soybeans. It is rich in protein and vitamin K2. Which is essential for healthy bones and the cardiovascular system. Pickled cucumbers are an excellent source of probiotics and vitamin K. In addition, the eating of pickled cucumbers has a good effect on the digestive function. Important point: cucumbers, pickled with vinegar, do not contain live bacteria. Many types of cheeses are prepared by fermentation. But this does not mean that every cheese has probiotics. Good bacteria “survive” in some types of cheese. Such as Gouda, Mozzarella, Cheddar and ordinary cottage cheese. Kvass is a drink that is made from flour and malt. It is based on fermentation. Sometimes with the addition of extra ingredients (honey, beets, fruits, berries). Kvass contains probiotics. Apple cider vinegar helps control blood pressure. Besides, to normalize cholesterol levels. It is also used for weight loss. In addition, apple vinegar contains probiotics. In small quantities, it can be added to salads in the form of seasoning. Experts are sure that probiotics always have benefits for your body. But they warn that not all food sources are produced equal. For example, if you buy a jar of pickled mushrooms in the store, then you quite naturally expect that they contain probiotics. The problem is that the vegetables were heated in order to increase their life. That means that the heat destroyed most of the good bacteria during the procedure. The same thing happens if you warm up sauerkraut. Or use yoghurt as a dressing for hot soup. In other words, make sure that probiotic products such as yoghurt, kefir, milk, cottage cheese. Also sourdough bread, soy sauce (natural), and homemade pickles are as fresh as possible. And if you buy them in an organic shop. Pay attention to the identical instructions on the package. What else is useful to know about probiotics. According to experts, the main thing is to listen to your body. Nutrition trends 2019 should not, in any case, bring harm to you. If you are taking certain probiotics and you feel great, you should continue to do so. If you note problems with digestion, despite the attention to all the rules for taking probiotics. Then you should definitely try something else. In any case, as soon as you find the right probiotic, your body will thank you. The search for the perfect option through trial will be an excellent investment in a healthy future. A person must consume fats every day. Otherwise, the body will not be able to work properly. So it needs foods rich in fats. Depending on how much fat you eat, it can be your best friend or your worst enemy. Our best friends are healthy fats. They are created by nature. That is why they are among nutrition trends 2019. Such fats are contained in whole unprocessed foods. Here is the list of the products containing the healthy fats. Eggs are tasty and very nutritious. One chicken egg contains about 6 grams of high-quality protein. They contain all eight essential amino acids. They are necessary for healthy muscle tissue. Besides, are involved in the absorption of calcium, zinc and iron. Eggs are rich in folic acid, vitamin K and other beneficial substances. The most useful methods of cooking eggs – steam omelette, baking, boiling. Do not fry scrambled eggs. You will deprive a wonderful product of its value for health properties. About 80% of its content comprises fatty acids. That is healthy fats. They have many benefits for human health. Including how to deal with inflammation. 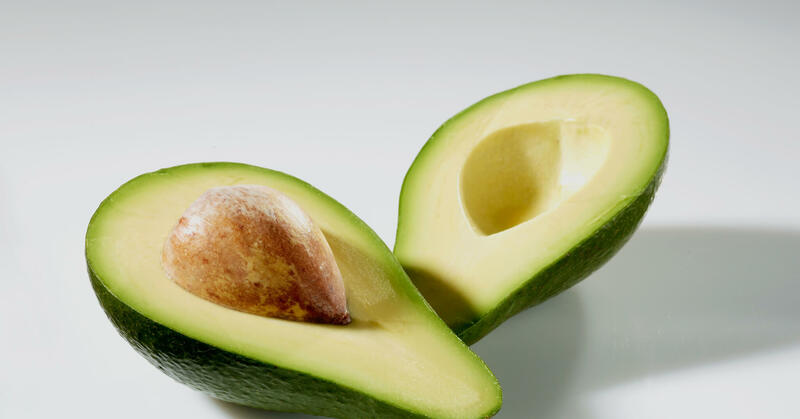 Avocados are rich in ascorbic acid, vitamins K and group B. It has a lot of useful fibre. It is useful to add avocados to salads, smoothies. Besides, replace the harmful spreads and butter. By adding walnuts to your diet, you can reduce the effects of free radicals. Besides, reduce cardio risks. This wonderful product contains folic acid and other antioxidants. You can use it as a snack in the office or while going for a walk. Add to yoghurt, porridge, cereals, salads. Try sprinkling walnut paste with seafood or poultry, white sauce. 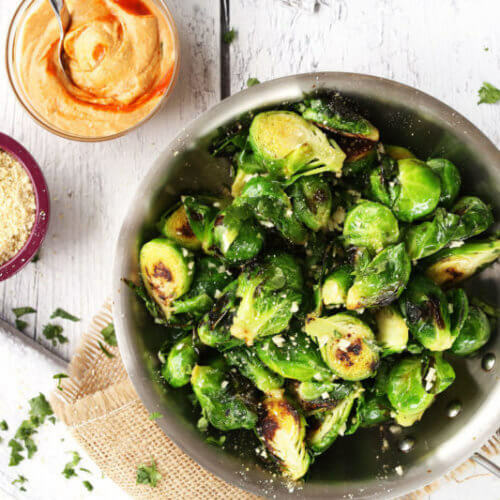 This will give it a new taste and even more benefits from healthy fats. A handful of almond nuts will be able to decrease the appetite for a few hours. And you will easily avoid junk food. It means you don’t gain extra lilos (or even lose it). In the peel of the almond nut, there are strong antioxidants. Especially healthy ones. So choose the unpeeled nuts. Salmon, tuna, mackerel, sardines and other fatty sea fish contain a lot of omega-3. This substance helps reduce the risk of developing many chronic pathologies. Not all fish, even sea, is useful. You should not use the one that is grown on fish farms. Compared with the grown in the wild. “Farmer” one contains a huge amount of toxic substances. If you have doubts, it is better to choose fish that are not grown industrially. But being caught in the sea. These are sardines, mackerel, horse mackerel, herring, etc. Melted butter remains unchanged even when exposed to high temperatures. This product can be stored for a long time without becoming rancid. The melted butter is rich in buty acid, which eliminates inflammation and has a beneficial effect on digestion. Whole cow’s milk is made of substances that activate the immune system. They are necessary for the proper organs working. Besides, it has antioxidant properties, promotes the growth of muscle mass, gives us strength. Yoghurt, kefir, and other dairy products contain useful bacterial cultures. 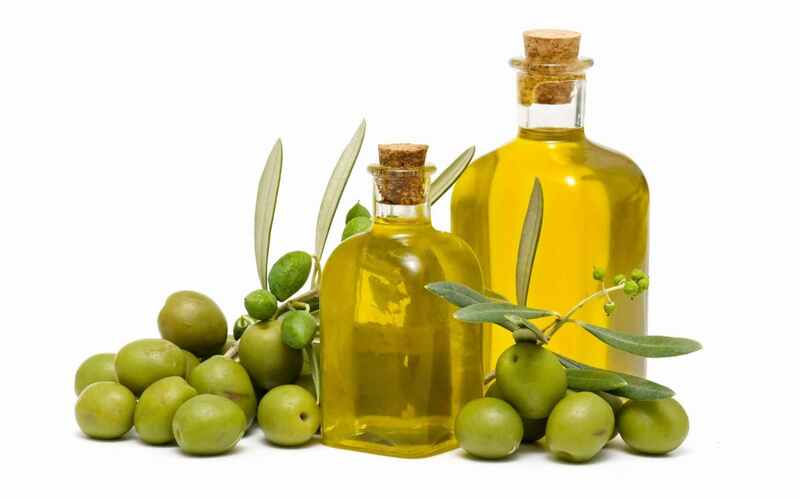 Regular eating of olive oil lowers the risks of oncology, ischemia and many other pathologies. It is largely due to the beneficial fats that olive oil comprise. Choose unrefined olive oil in a glass bottle, preferably dark glass. A product that has not been filtered has shades from golden to green. It should not be used for cooking. Since at very high temperatures it becomes carcinogenic. Add it to salads, pasta, steamed vegetables, sauces. Here are some tips that you should include while choosing the products including healthy fats. Look for variety while choosing products. Olive oil, for example, will provide a healthy dose of oleocanthal. It is a substance with proven anti-inflammatory properties. But there are other options for oils that can be used instead of olive oil. Such as sunflower, sesame, flaxseed one. There are also nutrition trends 2019. By adding sliced avocado to a salad, you will help the body better absorb the carotenoids from other ingredients. And also provide an extra dose of fibre and protein. Monitor the quality of fats source. Any healthy oil must have a saturated taste, expressed colour and aroma. Keep track of the quality of the fat source. If the oil is not properly stored, it releases chemicals that cause oxidative stress in human cells. In addition, it is important to choose environmentally friendly fats. Toxins are often in fats and oils. Avoid high temperatures while cooking. If you heat the oil to a temperature at which it begins to smoke. Then free radicals and other toxic compounds are formed in it. Useful and natural low-calorie snacks are becoming more and more popular nowadays. They are leading among nutrition trends 2019. Using natural ingredients is the key to creating a healthy snack. Having such bites, you will manage to lose extra pounds. No snack is better than an apple. One medium-sized fruit contains only 40-50 calories. But how many nutrients, fibre and vitamins that naturally affect the body are in this useful fruit. You can replace it with any other tasty fruit – banana, mango, pear. The main thing is to choose strong and not too sweet. This will help not to get spotted with juice. And not to use an extra amount of sugar. And it is easy to dispose of what is left using a regular bag. Pros: no need to brush your teeth after eating. Cons: too juicy fruit can leave your hands and workplace sticky. There is nothing wrong with taking a lunch with a beautifully sliced and very healthy salad. Or a few fresh vegetables. The menu can be varied by avocado halves stuffed with low-fat cottage cheese. Besides, tuna slices or shrimp, baked fruit. If time is limited, it is convenient to cut the vegetables into slices and dry at home. The result is a delicious and healthy replacement of dry chips. Natural sources of vegetable protein and the best snacks for weight loss. They will give strength and saturate the body with vitamins. Their taste and composition are perfectly combined with boiled eggs, cauliflower or chicken meat, real gifts for any diet. Forget crumbling bread or calorie toast. Replace them with pita bread, which is convenient to wrap any fruit and vegetable stuffing. 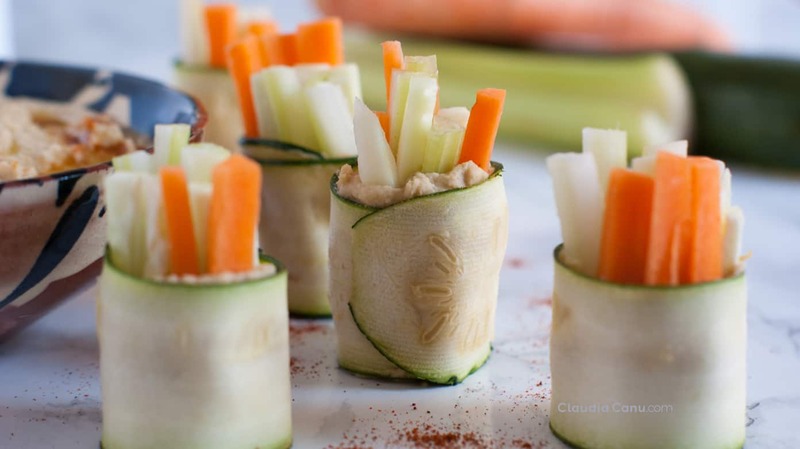 So you make your snack for losing weight, not only healthier but also easier. That is why such snacks are among nutrition trends 2019. And sliced rolls of pita can generally be eaten in a couple of seconds. And no soiled hands. Almonds, peanuts, and hazel are quite high in calories. But they weigh very little and perfectly satisfy hunger. In addition, they give a lot of energy. So you will not feel a breakdown. And your hands will stay perfectly clean. Thermos is not only for hot coffee. Green tea with honey and lemon, fresh yoghurt or another dairy product can also be a snack. Juice-fresh, fruit and berry smoothies are perfect for having a bite. All this is convenient to cook at home and consume at work. Just put it in the thermos and enjoy when hungry. The perfect low-calorie snack (30 kcal per serving). A leader among nutrition trends 2019. It will take just 10 minutes to prepare. Preheat a large frying pan to medium temperature. Slice the Brussels sprouts in halves. Place them in the pan along with the spices and olive oil. Fry for 3-4 minutes on each side until cabbage is browned. Useful snack ready! You can store it in the refrigerator for 4-5 days. East seasonings and one of the most useful nuts. This mix is an alternative to salted peanuts from the store. A leader among nutrition trends 2019. Mix butter, syrup, spices and sugar. Add cashews in the mixture and mix well. Cover the baking sheet with baking paper and place cashews on it. 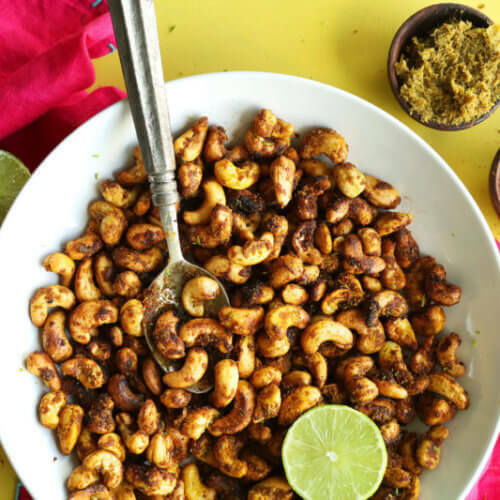 Bake cashews at a temperature of 160 degrees for 12-15 minutes. Ready cashews can be stored for 2-3 weeks at room temperature. In conclusion, let’s give you some tips while preparing healthy snacks. Plan the small bites in advance. And get a habit to prepare them before at home. The ideas are countless! It can be apple pastilla without sugar, dried fruit, cottage cheese mixed with greens, dietary carrot cookies and other products. Your menu borders only your imagination. Remember one more tip. In order that snacks do not spoil clothes or workplace. Take care of proper packaging. And a pair of napkins will be useful in any situation. All the above-described variants for snacking will take no more than 5 to 10 minutes. However, they will allow you to fully enjoy a healthy life and a stunning figure. What is the danger of usual ice cream? The point is its calorie content. Due to the high content of vegetable fats, ice cream is considered a real calorie bomb. Knowing this, many prefer fruit ice. Because there is no fat in it. This approach is absolutely wrong. The caloric content of such ice cream increases due to the huge sugar content. So people who want to eat healthy food are worried about one question. How can you combine the taste of food with benefit? Because all harmful products are usually tasty. Which cannot be said about all beneficial products. Fortunately, nutritionists and chefs have a rich imagination. Along with great knowledge about the benefits of food. Therefore, more and more often they delight us with recipes for delicious dishes. That do not hide a danger to the body. One of these products is dietary ice cream. It is an amazing food among nutrition trends 2019! 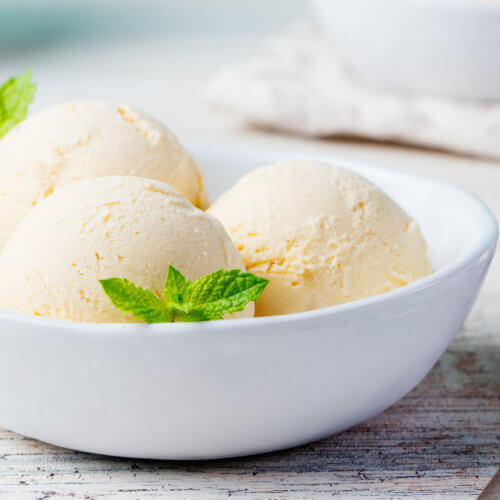 Let’s try to prepare the leader among the nutrition trends 2019 – healthy ice cream. This option is perfect as a base. Because instead of strawberries, you can add any other berries or fruit that you like. A leader among nutrition trends 2019. Pour the milk into a wide bowl. Then put it in the freezer for 20 minutes. It is necessary that it grabbed and crystallized slightly. "Gelatin" pour 50 ml of boiling water and quickly stir until dissolved. Beat strawberries or other berries with a blender, add sahzam if necessary. Already cooled milk, beat at high speed with a mixer. It should start to increase in volume. In a thin stream, without ceasing to beat, add "gelatin". The result is an air mass with peaks. 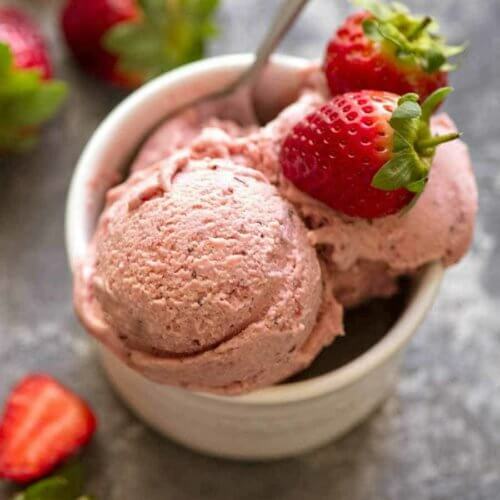 Mix strawberries in it and shift them to the ice-cream bowls. Then decorate with strawberries and mint leaves. Optionally, this diet ice cream can be served immediately. You can chill it, then it will take a more classic look. 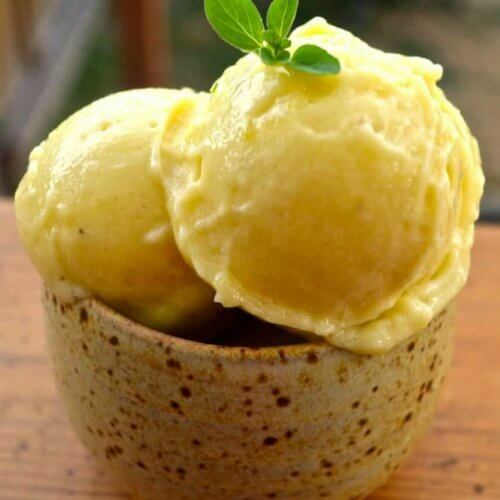 This recipe is a unique combination of banana and cottage cheese ice cream. It is suitable for two categories of people. Depending on the composition. If you lose weight, use regular vanilla. If you gain weight through muscle, then add vanilla protein. A leader among nutrition trends 2019. Beat cottage cheese and banana in a blender until smooth. Add sweetener, if required, and mix again. Repeat the same steps by adding vanilla or vanilla protein. Freeze the mass in the freezer, stirring it every half hour. After 2-2.5 hours, ice cream will be ready. This variant of ice cream cannot be classified as simple. But to taste, it is as close as possible to the classic creamy recipe. However, it is easy to make chocolate one by adding cocoa. A leader among nutrition trends 2019. Part of the milk (about a third), mixed with dry ingredients: starch, salt. Mix thoroughly until smooth. Separate the yolks from the whites and whip with the remaining milk. It should be warm. Pour in the first part of the milk and set on slow fire. The mixture must be boiled down. Constantly stirring, not allowing it to boil. The result should be custard. Squirrels whip to the state of peaks. And gently inject a thin stream of cream, stirring constantly. It turns out a mixture resembling a cocktail. Remove it in the refrigerator until freezing. You can add to taste nuts, raisins, berries. Dietary ice cream is ready! 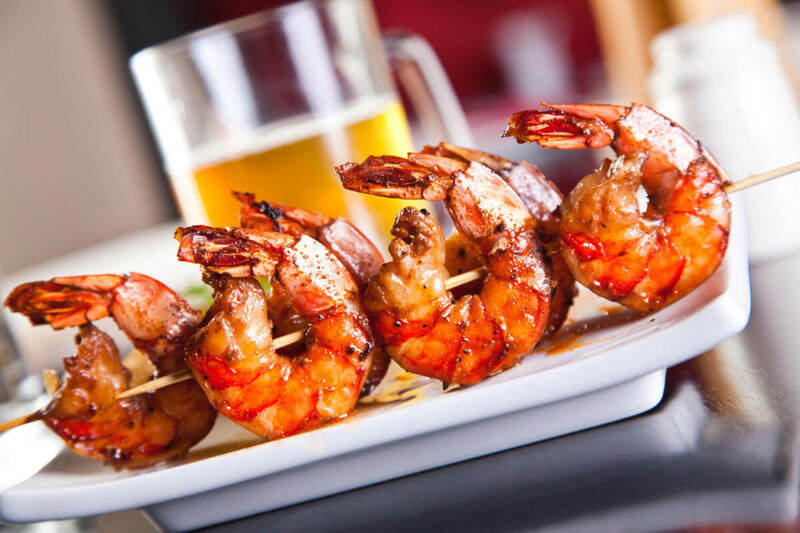 Seafood will definitely be among nutrition trends 2019. A diet based on the sea products is popular among those who like to eat and not to feel the hunger. As a result of eating foods with sea elements, a person gets not only a slim figure. But also good health. And all this without feeling hungry. 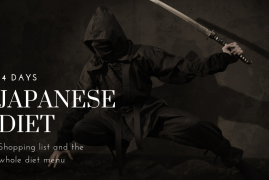 Since this diet has a varied menu and really delicious dishes. a protein that is quickly absorbed. and other required micro and macro elements. Due to this, the life tone increases. The risk of developing the motor system diseases lowers. Metabolic processes in the body return to normal. So, what properties have the main kinds of seafood? contain neither sugar nor fat. rich in vitamin B12, which is necessary for the nervous and immune systems. normalize blood pressure and improve the functioning of the reproductive function. make the face skin beautiful. rich in vitamin E – it is a natural antioxidant. saturated with iodine, which is very important for those who want to lose weight. Iodine improves the thyroid gland, producing thyroid hormones responsible for metabolic rate. a source of useful elements that improve the work of the digestive tract and metabolic processes. 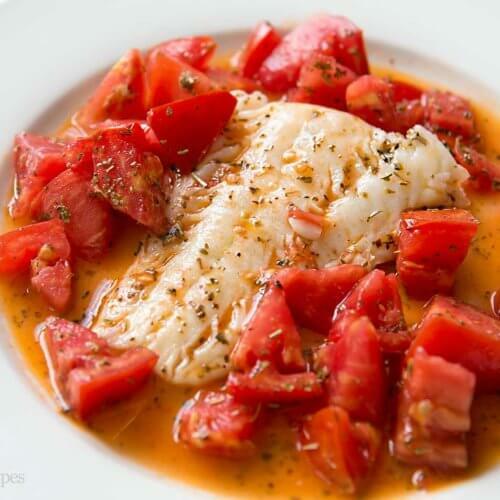 Fish stewed in a multicooker will have a different taste if we cook it in a tomato. A set of vegetables can be very different. If desired, you can add even young potatoes (it has fewer calories). A leader among nutrition trends 2019. Fish fillet cut into small pieces. We clean and chop vegetables: onions - half-rings, zucchini - in small cubes. Bulgarian pepper and potatoes - in cubes. Grate carrots on a coarse grater. Scald tomatoes with boiling water, remove the skin. Grind them in any way: cut or wipe in a blender. If tomato paste is used, it is necessary to add several large spoons of boiled water (mix everything thoroughly). Cooked foods lay in a slow cooker. Add salt, spices and herbs. Fill with cooked tomato puree or pasta. Put the bowl in the multicooker. Our dish is cooked for about 1 hour. Enjoy your meal! As to the healthy fruits. Many have the opinion that the most beneficial vegetables and fruits grow in our area. What do modern experts think about this? And should we buy passion fruit, coconuts, mangoes and many other exotic fruits? They are now everywhere on sale at any time of the year. No wonder, as Pacific fruits are among nutrition trends 2019. Actually, what lies on our shelves is only a small part of what is in tropics. For example, mango is considered beneficial for the body. The pectin contained in it is very good for digestion. Of course, the most popular of the places among our tourists is Thailand. 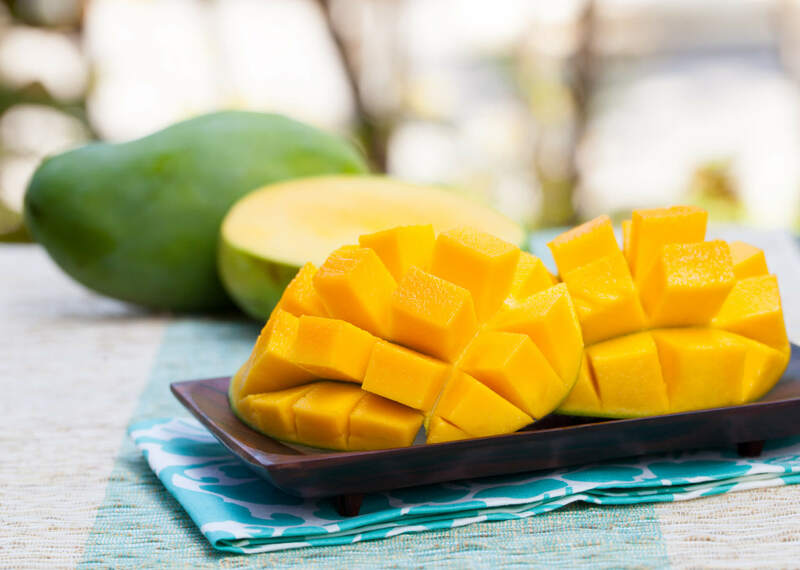 In addition, mango contains a lot of vitamin C. 8 times more than in apples. Plus vitamin A, magnesium and potassium, good for the heart. Jackfruit, due to its starchy composition is similar to corn. Fruits weigh 34 kilograms, and the content of starch in them reaches 40%. At the same time, jackfruit has the mass of benefits. It contains vitamins A, C, B3, phosphorus, calcium, potassium. Plus, those same antioxidants that slow ageing. In Vietnam, there is a fruit that has recently come into fashion. One of its names is the hack. It contains a lot of beta-carotene and lycopene. It is an important antioxidant for health. It is 70 times more than in tomatoes. But the taste is rather special. They say it tastes like either a soup or a fat, boiled carrot. Guava tastes like an apple, pear and strawberry. But there are about 50 times more vitamin C in it compared to the same apple. Plus a lot of vitamin A, B3, potassium, magnesium, phosphorus and calcium. There is even a rare vitamin K that helps with blood clotting disorders. Pitahaya (it’s a dragonfruit) is appreciated for her great thirst quencher. The fruit is quite bland, but very juicy, almost like a watermelon. According to the content of vitamins, it is not particularly special. But the amount of antioxidants just rolls over. 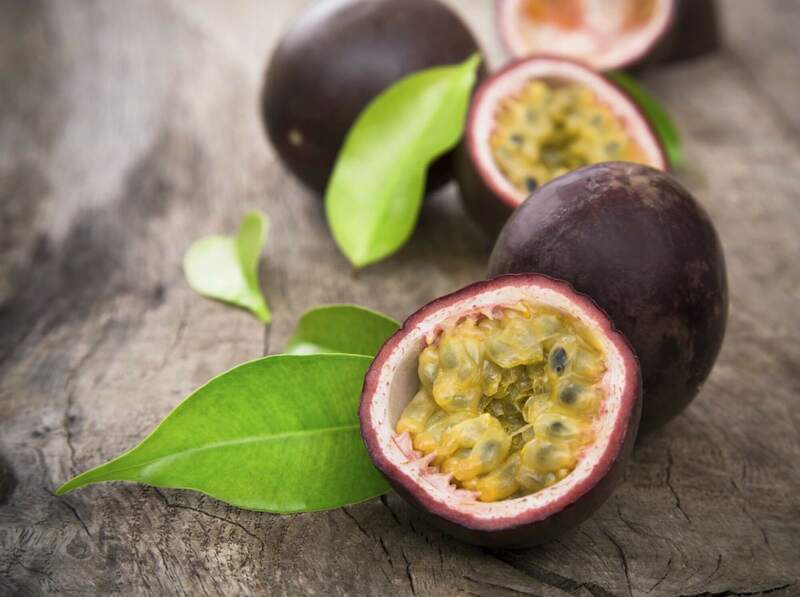 Passion fruit has a high content of vitamin A and vitamin B3. Which is considered powerful for lowering cholesterol. Compared with the same apple, there are 7 times more vitamin C. 13 times more iron and 5 times more fibre. Plus vitamin K.
Although Pacific fruits are among nutrition trends 2019, they can be the problem for diabetics. The tropical fruits usually have more simple carbohydrates than our native apples and pears. And blood sugar is growing faster here. According to experts, if a person is not allergic and healthy. Then any fruit from another climate zone and from its climate zone is of equal value to the body. Unfamiliar fruits cannot be carried away by those who tend to allergies or who can not eat much sweet. But just remember to be cautious. And there will be both pleasure and benefit from such gastronomic events. Artificial meat is an alternative for all meat lovers. Lots of people care too much about the animals that die because of people wanting meat dishes on their tables. Despite this, such people like meat and do not intend to eat only salads. For them, a new alternative appears – meat made in so-called “culinary laboratories”. It is the reason why such an unusual product is among nutrition trends 2019. A couple of years ago, a steak from a test tube seemed like a wonder made by scientists. And today we are talking about the release of such products on the mass market. Artificial meat is promoted as a product that has greater nutritional value. And even better taste than natural. The presence of Cargill Meats among investors means that a Californian startup is preparing to launch a commercially valuable product. It will be tasty and affordable. For example, for a steadily growing middle class in India and China. By the end of 2017, investment in the project grew to $ 17 million. In addition to beef, duck and chicken meat production have already been tested. What manufactures say. 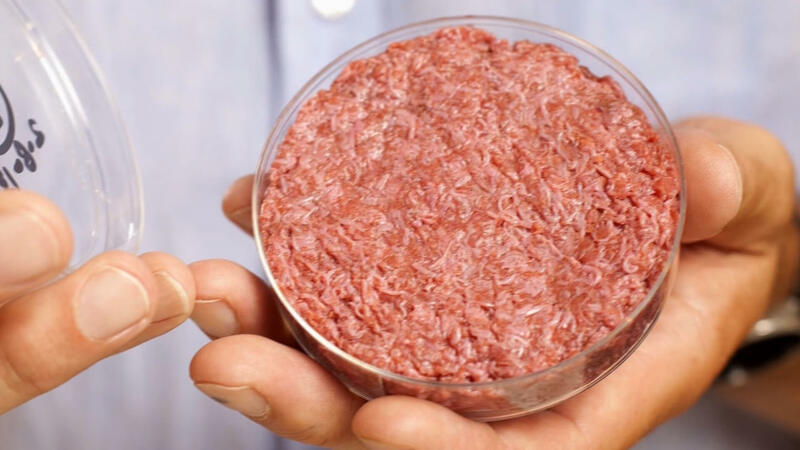 Artificial meat has all the potential to become needed product because of its visible benefits. Its taste is not worse than natural. In the process of growing antibiotics or other chemical stimulants does not apply. And of course, there is no need to kill animals to get “test tube meat”. As a result, its price will be much lower than the natural one. The company Impossible Burger has developed recipes for the complete replacement of meat. They alter meat with vegetable components in burgers. And has received a lot of positive reviews in the media. As well as from many well-known chefs. The first consumers’ feedback on the project launched on March 2 of this year is the most positive. A cutlet, without a single gram of meat, can hardly be noticed from real meat. Actually, the company’s meat substitute per burger requires 95% less territory. 74% less water, and 87% less CO2 emissions. The content of hormones, antibiotics and artificial components is at the level of 0%. As the company says. wheat and soybeans (the protein is emitted of them). the main ingredient – gems. What are gems? There are the substances that act as prosthetic groups (non-protein parts) of proteins. They are included in any form of life on Earth, including plants. And are the component that makes meat juicy, tasty, “meat”, in one word. The mixture of the main mass of future burger with gems isolated from plants. It allows you to get equal to meat in form and (according to many facts) the taste of the cutlet. Actually, it advances the revolution to the burger world. 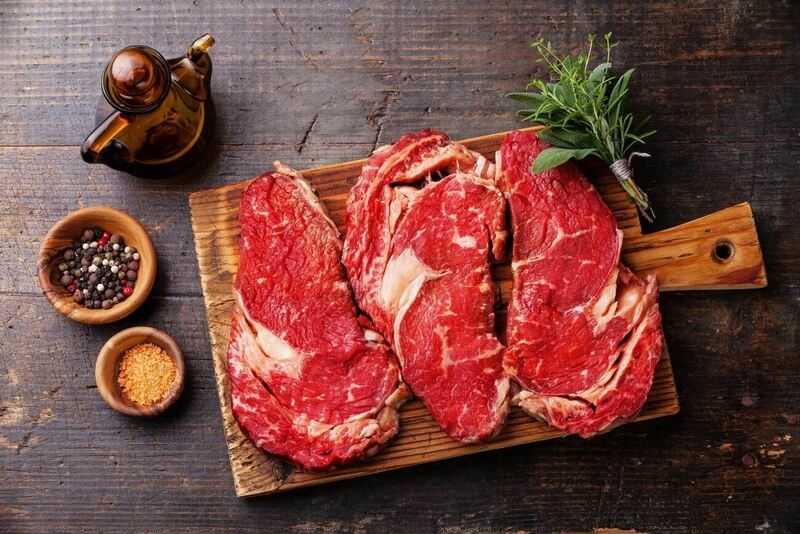 Texture, juiciness, taste, ways of cooking – all as in natural meat. Or, at least, as in the stuffing from natural meat. Rapid production of vegetable protein was achieved through the placing of the plant proteins DNA into normal yeast. From which, as they grow, the protein is extradited. What is a balanced diet? Actually, it is a diet in which proteins, fats, carbs, vitamins and elements are present in the right proportion. There is no universal product that provides the body with all the necessary elements. This means that the menu should be diverse enough. So that full-value vegetable protein and products with other components enter the body. Soy is a wonderful plant. It is rich in protein, fibre and vitamins. In China and Japan, soy dishes form the basis of the daily diet. It is thanks to the regular use of soybean. The inhabitants of these countries are less tend to the malignant tumours formation. Besides, the diseases of the circulatory system. And women have fewer problems during the menopause period. 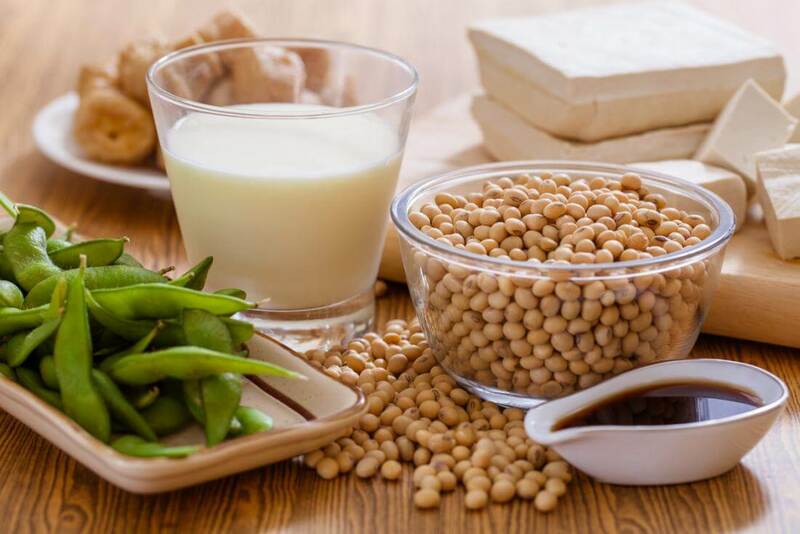 Soy contains easily digestible vegetable protein in large quantities. Actually, it does not take much time and energy to digest it. What does it mean? The fact that after eating you will feel the power and a burst of energy. This product has a whole list of useful properties. Firstly, soybeans are rich in vitamins A, K, D, E. Besides, they contain the whole group of vitamins B. Secondly, there are a lot of trace elements. For example, iron, potassium, calcium. Thirdly, soybean contains all essential acids and fibre for the body. Only 50 grams of soy per day is more than half the norm of proteins that an adult needs. Soy is a truly unique product! This wonderful cabbage comes in all shades of green and even purple. Broccoli contains vegetable protein. It has very few calories, so this product is recommended to be eaten by people who want to lose weight. For example, a portion of cabbage contains only 55 kcal. This plant supplies our body with protein, antioxidants, vitamins and minerals. 100 grams of asparagus is only 20 kcal. But the value of the product lies in its richest composition. Asparagus is a very good source of vegetable protein. In addition, this plant contains a large amount of vitamins A, C and B, iron, potassium, zinc. And the product contains asparagine, which is involved in protein synthesis. Asparagus remarkably lowers blood pressure, prevents liver diseases. Besides, it has a healing effect on anaemia, diabetes, cystitis and gout. The French call spinach a “broom for the stomach”. They mean its cleansing effect on the digestive system. An interesting fact. In terms of protein content, spinach exceeds all vegetables. It gives way only to peas and beans. In addition, young leaves contain a record amount of iron. Moreover, this mineral is perfectly absorbed due to the presence of a significant amount of vitamin C. This plant is an excellent and light protein food. This product contains 13 grams of protein per 200 grams of cereals. It is proved that buckwheat is necessary for normal functioning of the heart and blood vessels. It improves blood circulation. Besides, reduces the amount of cholesterol in the blood and keeps glucose levels under control. Buckwheat is a very nutritious and healthy cereal. It contains a large number of plant origin proteins. Dishes made with this cereal are high in calories. Besides, they are nutritious, have a pleasant taste and aroma. This cereal must be included in the diet of pregnant women. Since it contains a lot of folic acids. Which is necessary for the full development of the fetus. 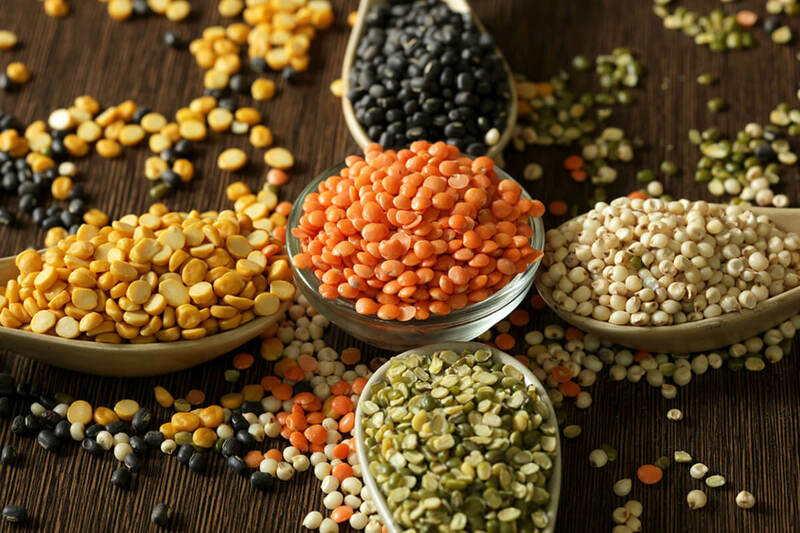 The protein content of legumes is out of the competition. Dishes made with them fill the body with energy and strength. Vegetable protein which is a part of peas and beans contains a very high level of unique amino acids. These proteins have a beneficial effect on the cardiovascular system work. They support normal blood pressure. And therefore are necessary for people suffering from hypertension. Lentils are a valuable protein product. Dishes made with the lentils contain lots of fibre and few fats. For example, 1 cup of this product contains 28 grams of protein and only 1 gram of fat. Besides, this amazing product is a source of vitamin B. In fact, the proper functioning of the nervous and digestive systems depends on this vitamin. Of course, mushrooms are tasty and nutritious products. They contain high-grade vegetable protein. There are many valuable elements and protein in mushrooms. And it is completely absorbed by the human body. In addition, they have all the necessary vitamins, minerals and amino acids. It is also remarkable that the dishes from mushrooms practically do not contain fats. But at the same time, they are highly nutritious. After using them, the feeling of saturation comes for a long time. The seeds of many plants and their oil are high protein foods. They have a lot of omega-3 acids. Which reduce the risk of developing cardio problems. 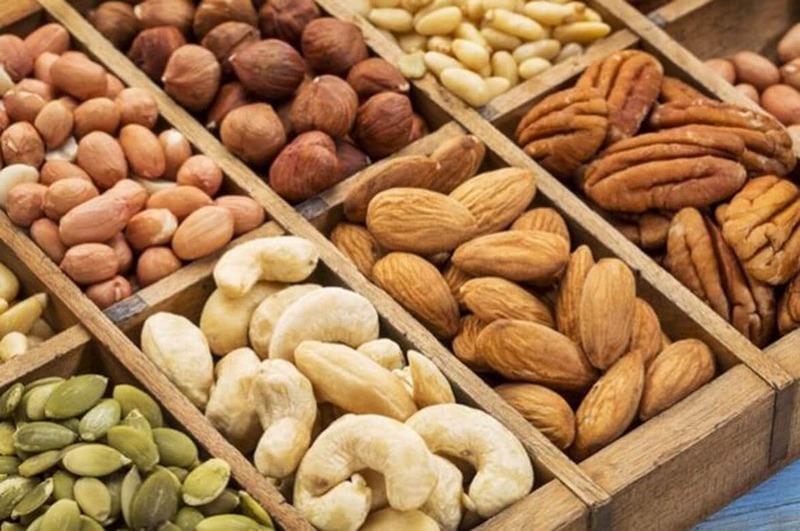 Nuts are adviced to eat after exercise. Seeds are also rich in protein. For example, ¼ cup of pumpkin seeds contains 19 grams of protein. And sunflower seeds contain 21 grams. In addition, seeds and nuts are rich in vitamins and minerals responsible for skin health. These products are an excellent tool for the prevention of heart disease and gastro tract disease. Fruits in fresh and dried form are also sources of vegetable protein. That is why they are among nutrition trends 2019. What foods contain high amounts of protein? For example, one avocado contains 10 grams of protein. Vegetable proteins with the complete set of essential amino acids are found in all leafy vegetables. Besides, in greens and in some fruits, as well as in grown wheat grains. These are absolutely high-grade proteins with the content of essential amino acids. Protein is part of many vegetables, fruits, nuts and seeds. Which allows you to diversify the menu and make it less calorie. Great selection of products will allow you to cook a lot of delicious, nutritious and healthy dishes. Eat healthy foods, and your well-being and mood will be at the top level. We can say for sure that now is the real period of smoothies. No wonder that these fruit and vegetable cocktails are among nutrition trends 2019. Followers of a healthy diet make it for breakfast, snack, sometimes for lunch and dinner. Besides, they practice making fasting days on these healthy cocktails. One glass of natural smoothies contains a great dose of fibre, vitamins, macro-and micronutrients. However, we decided to find out whether the smoothie is a healthy choice. 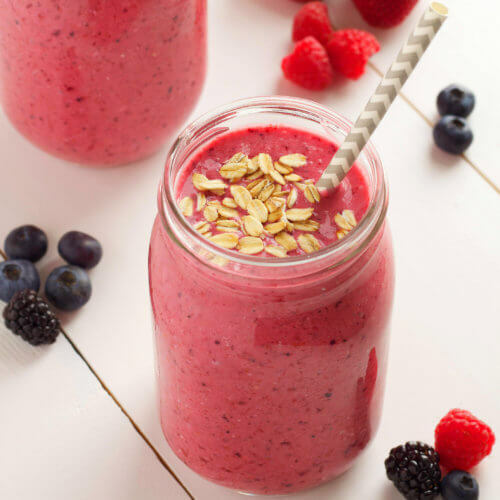 Smoothies made from fresh fruits and vegetables, soy, almond or coconut milk, nuts, seeds and cereals are a great and nutritious way to start your day. The right cocktails contain fibre, protein, vitamins, water, minerals and antioxidants. But not always smoothies are a healthy dish just for breakfast. 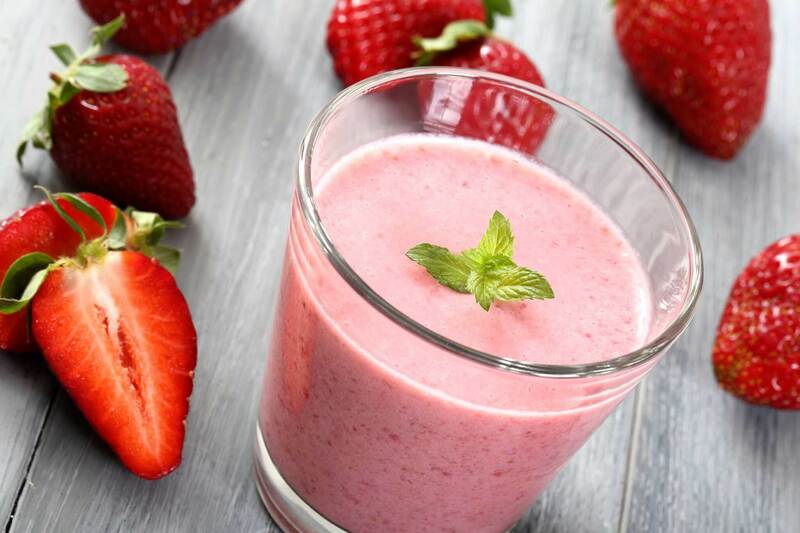 Homemade cocktail is one of the easiest ways to add fruits, berries, vegetables, herbs and other healthy foods to your diet. 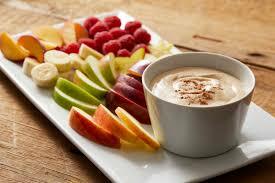 The drink is very good for those who find it difficult to eat fresh fruit during the day. Experts advise eating about 5 fruits a day. Just one glass of smoothie containing these 5 fruits is a great variant. Many studies have shown that a diet including fresh fruit reduces the risk of heart attack and stroke. They are a good and natural source of many heart-protecting nutrients. Such as vitamin C, folic acid and potassium. The benefits of fruits containing flavonoids (pigments that give the fruit a variety of colours) are also proved. There are such products as red apples, oranges, grapefruits, blueberries. These fruits and berries can also protect cardio diseases and various types of cancer. Vegetable cocktails also have beneficial properties. Most of these smoothies contain calcium, omega-3 fatty acids and proteins. The quantity and quality of nutrients depend on the ingredients you add to your drink. Fibre can be obtained by adding cabbage, carrots, omega-3 fatty acids – flax seeds, hemp and chia, protein – nuts, seeds, natural yoghurt or vegetable protein to the smoothie. If you don’t have time to cook your favourite oatmeal in the morning. Then this smoothie recipe is a great alternative! Red currant, that we will add to this smoothie, is very useful for the body. It will contain 4-5 times more ascorbic acid than in blackcurrant fruit. A leader among nutrition trends 2019. Add the oatmeal to the pan with boiling water and cook them over low heat for 5 minutes. When the porridge has cooled, add it to the blender. Capture currants, banana, almond milk and honey. Mix thoroughly and enjoy a wholesome breakfast. Pumpkin contains many useful vitamins of groups A, C, E and group B. It is a light, useful and most importantly - a dietary product. It helps to eliminate toxins from the body. 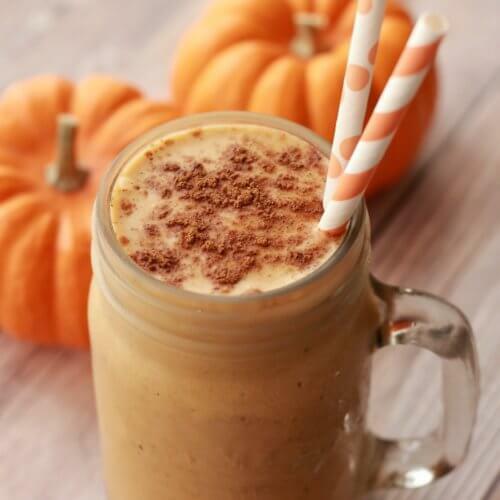 To prepare such a smoothie, we advise you to choose sweet pumpkin varieties. A leader among nutrition trends 2019. To make a pumpkin smoothie, you need to peel the carrot, scald it with boiling water, then grate it. After that, you need to cut the pumpkin, clean it from the seeds and just grate it on a grater. Put both ingredients in a blender, put 3 ice cubes, add yoghurt and mix everything as it should. Done! There are many areas in the gastronomic world. That will certainly determine the restaurant market and the release of new products we will consume. The request is current. We have analyzed these trends and identified highly essential for the next year. To conclude, all nutrition trends 2019 have a common feature. It is Natural Enhancements. What does it mean? Natural Enhancement is a natural everyday food of high quality. It improves our health, cures us, helps the brain work. Here we can include HLS meals, vegetarian and vegan cuisines, gluten-free meals. Besides, everything that is full of natural vitamins improving the health and quality of our lives. Experts see a great prospect in the use of natural ingredients in dishes. Such as turmeric, which is an excellent prevention of many diseases. In addition, the use of collagen in food, cannabis for relaxation, carcade for anti-stress nutrition does not surprise anyone for a long time. Meals and products with natural ingredients will appear more on supermarket shelves and in restaurant menus. After all, we know for sure – “we are what we eat”.